Apple may rely on Taiwan Semiconductor Manufacturing (TSMC) for the entirety of its A8 processor production in 2014, claims a report from TechNews Taiwan [Google Translate] (via G 4 Games). Samsung allegedly was dropped as a manufacturer because of low yields in its 20 nm manufacturing process for the A-series processor, while TSMC was able to meet Apple’s demands. The Wall Street Journal reported back in June 2013 that TSMC may provide some A-series chips for the Apple’s iOS devices in a manufacturing agreement starting in 2014. 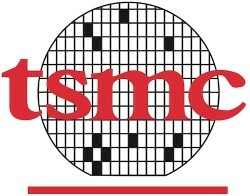 TSMC was expected to handle up to 70 percent of the manufacturing load, while Samsung would pick up the rest. 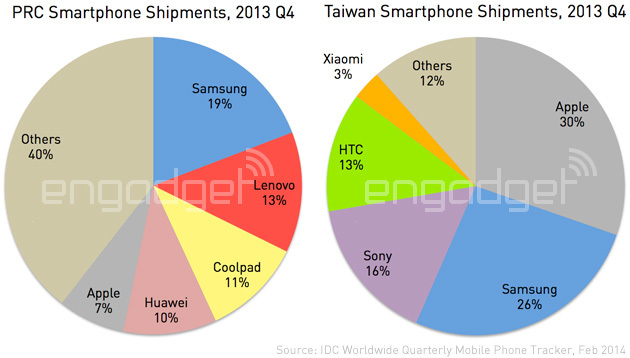 Production problems may, however, have resulted in Samsung being removed completely from the A8 supply chain. According to the report, this shift away from Samsung for the A8 processor is not expected to affect production of the A9 processor in 2015. An earlier report suggested Samsung and TSMC may share the production of the A9, with Samsung supplying approximately 40% of Apple’s 14-nm A9 chip family in 2015. This latest report claims Apple may start A9 production with TSMC and its 16 nm process and then shift to Samsung and its 14 nm process when the Korean company can meet demand. Apple’s A8 chip is expected to make its public appearance later this year in new iPhone and iPad models. Harmonix is charting new territory yet again. The studio that birthed both Guitar Hero and Rock Band, and the only third-party game-development house that created a successful Kinect franchise (Dance Central), announced a new game today: Chroma. Unlike the studio’s last several games, Chroma is headed exclusively to the PC (via Steam) as a free-to-play title. 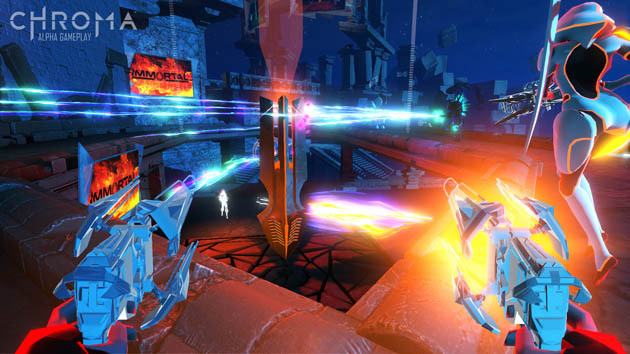 Also unlike Harmonix’s last several games, Chroma is wildly experimental, blending first-person shooting with pulsing electronic beats and garish visuals. The music game studio is even working with an outside team, Hidden Path Entertainment: the same folks behind critically acclaimed shooter Counter-Strike: Global Offensive. If you’re still wondering what type of game Chroma is at this point, that’s understandable: There’s no such thing as a music-based first-person shooter. That is not a thing that exists (well, unless you wanna count Midway’s terribly amazing Revolution X). So let’s break it down: In Chroma, you play one of five classes (standard FPS fare, from basic assault to heavy “tank”), with weapons and abilities varying based on the class you choose. In the two game modes we played at DICE 2014, we were on a team with other writers battling for control of various points within a level or battling for control of a cart being pushed one way or another (think: Team Fortress 2). Pretty normal shooter stuff so far, right? The musical wrinkle comes into play whenever you shoot or jump. Fire a sniper rifle shot on the downbeat and connect? That’s a one-hit kill. Jump on the downbeat? You’ll go a little higher. Better yet, jump on a downbeat on a jump pad and chain your button presses to the beat to continuously jump from pad to pad (this all makes more sense in Chroma‘s stylized future-world setting, promise). You can fire most guns whenever you want, and jump at any time, but timing actions to the beat makes a world of difference. That is Chroma‘s bizarre, fascinating premise. Though we’re sold on Chroma‘s ambition, playing it — at least right now in Alpha form — is a mess. Not just because it’s early, but also because there’s a tremendously steep learning curve. Playing as any of the more advanced classes (engineer, tank) is nigh impossible, as even basic shooting is governed by matching trigger pulls to the beat (we played with an Xbox 360 gamepad, but a mouse/keyboard combo works as well). A visual indicator on-screen helps the rhythmically handicapped with upcoming beats, but even veteran beat masters will have a hard time juggling character control, map navigation, aiming and shooting while at the same time trying to match shots to the beat (not to mention lining up the timing of hitting an enemy with the rhythm of the in-game music). Beyond being an incredibly risky blend of two totally different game genres, Chroma will live and die by providing a lag-free experience. 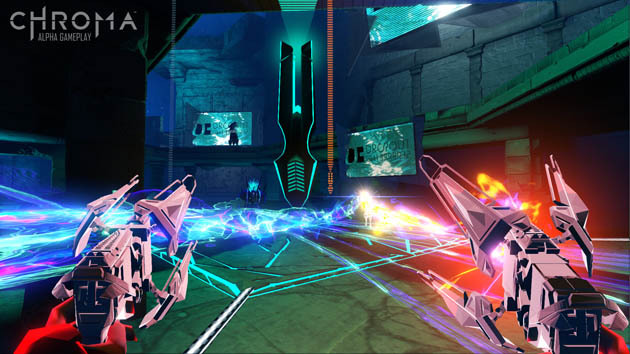 The game’s dependence on rhythm while also being an online-only shooter means that any lag results in an extremely off-balance game. And all it takes for players to walk away from a free-to-play game is, well, anything. It’s free, right? As a veteran of FPS games and a longtime Guitar Hero/Rock Band/Dance Central player, Chroma simply threw too much at me at once. It’s hard enough to learn a new level, parse a game type and master basic shooting mechanics without having to also figure out how rhythm fits into that. Frankly put, rhythm is too complex an input to add to a genre (FPS), which is already packed full of inputs. At least that’s how it felt after playing a few rounds of Chroma last week. For what it’s worth, the reps from Harmonix were all keenly aware of the barrier to entry and assured us that a rigorous training program is being created. LG on Monday introduced its third generation of mid-range L Series smartphones. Powered by Android 4.4 Kitkat (with custom LG UI touches), the three devices offer HSPA+ connectivity, Bluetooth , GPS, Wi-Fi, and should be offered in markets with 3G networks. L90: Includes a 4.7-inch qHD display, quad-core 1.2GHz processor, 1GB RAM, 8GB internal storage, 2,540mAh battery, an 8-megapixel rear camera, and 1.3-megapixel camera. L70: Includes a 4.5 inch (800 x 400) display, dual-core 1.2GHz processor, 1GB RAM, 4GB internal storage, 2,100mAh battery, and either an 8-megapixel/VGA or 5-megapixel/VGA camera combo. L40: Features a 3.5-inch (480 x 320) display, dual-core 1.2GHz processor 512MB RAM, 4GB internal storage, a 1,700mAh battery, and a 3-megapixel camera. LG did not make pricing or availability clear; we might learn more at Mobile World Congress. The post LG intros trio of L Series III smartphones appeared first on AndroidGuys. 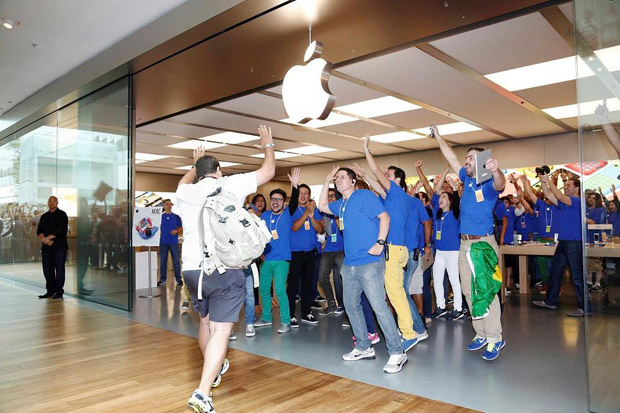 Apple’s first retail store in Brazil opened in Rio de Janeiro this weekend, with approximately 1,700 customers waiting in line for the grand opening (via The Globe]. Customers started queueing up on Thursday night for the Saturday morning debut, with groups waiting both inside and outside the Village Mall. The opening of the Rio de Janeiro store was announced last week on the company’s website and is Apple’s first store in Latin America. The store has a fairly unique single floor, pavilion-style design with a curved glass exterior. Unlike most other Apple retail stores, the Rio de Janeiro location features a split-concept layout where one half of the store is dedicated to product demonstrations while the other half is focused on accessory sales and services. Speaking to Brazilian news site The Globe, Apple CFO Peter Oppenheimer confirmed that Brazil was an increasingly important market for Apple. The Rio de Janeiro store is part of a larger plan to tap into the Latin American market, which traditionally has been a weak market for Apple due to the high import taxes levied on electronic devices. Apple will be selling its full product lineup in the Rio store, including the iPhone 5S starting at the equivalent of $1,174, with high taxes making it the most expensive Apple retail store for iPhone purchases (via Bloomberg). 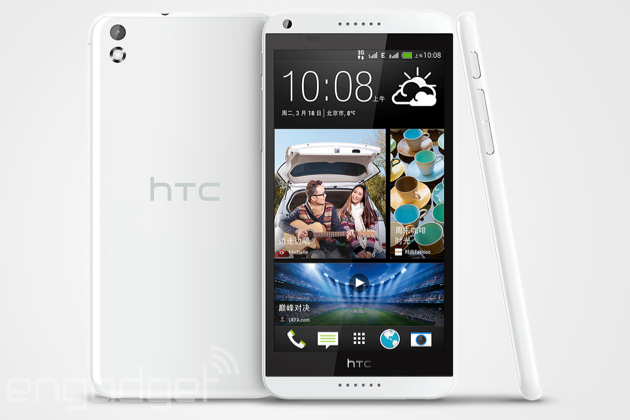 Though we were quite smitten by leaked photos of HTC’s upcoming mid-range Desire 8, it’s always prudent to hold out for something that’s actually official. 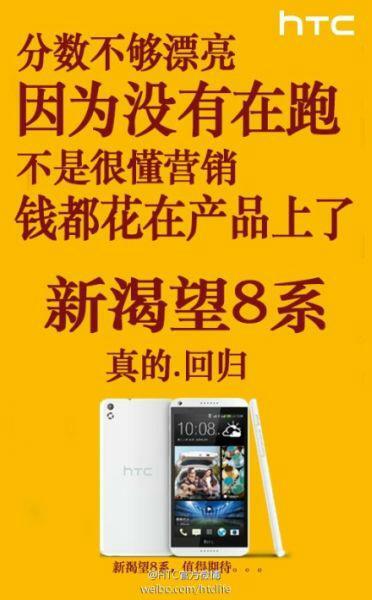 Now HTC has all but confirmed the phone’s existence on its Weibo page with the same image but a different announcement date of February 24th in Beijing. So far the rumor mill has pegged it as a 5.5-inch handset with on-screen buttons and a 13-megapixel rear/5-megapixel front camera, which seems to jibe with “super-super” camera tease (after the break). There’s no pricing or arrival date outside of China, but at this point, each new product seems critical for the beleaguered company. Security is always a topic of hot discussion, and more so with a company like Google who host a lot of your information under one roof when it comes to Google+ and Gmail. It’s also of no secret that passwords are not secure, despite popular belief – every password can be brute-forced/guessed eventually. With Google’s recent acquisition of SlickLogin, it seems Google are trying to move away from traditional passwords in an attempt to make logins and the information they protect more secure. SlickLogin is a two-factor authentication system for your computer that uses your smartphone as the authenticator using inaudible tones to identify who you are. Your computer will play a series of tones that the human ear cannot distinguish, but your phone can, in order to authenticate you. Your device will analyse these tones and send back an authentication token back to the computer to proceed with the login. Whilst this is not a move away from passwords completely – and it’ll probably be a while before this fully happens – it does show Google is taking security seriously and trying to find alternative ways of authenticating a user by using an additional secure peripheral. I have a feeling security is going to play a big part in the next released version of Android 5.0. The post SlickLogin acquired by Google for sound-based authentication appeared first on AndroidGuys. Despite Japan’s rich gaming culture, the new consoles that’ve taken pride of place in your living room are still considered next-gen in the Land of the Rising Sun. While Microsoft still hasn’t offered a firm date for the Xbox One‘s arrival, Sony’s PlayStation 4 makes its Japanese debut this coming weekend. Now, as reparations for the three-month delay, Sony and the snake-charmers (read: game devs) at Kojima Productions have partnered on the first limited edition PS4 console that’ll launch exclusively in Japan on March 20th. 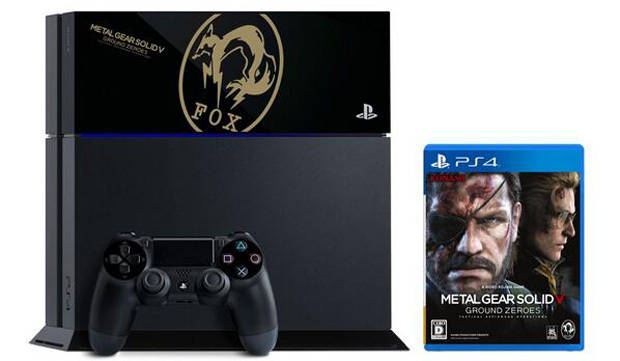 This “Fox Edition” PS4 has been crafted to celebrate the launch of Metal Gear Solid V: Ground Zeroes, a copy of which’ll be bundled with the console for 46,980 yen (around $462) — the regular console will retail for 41,979 yen (around $413) sans game, since you asked. Unfortunately, this first limited run PS4 is less impressive re-skinning effort, and more, well, boring sticker. According to the latest IDC figures provided to Engadget, Samsung continued to perform well in Greater China — as in mainland China and Taiwan combined — in terms of smartphone shipment. In mainland China last quarter, the Korean giant topped the chart with a 19 percent market share, followed by Lenovo at 13 percent and Coolpad at 11 percent. IDC’s Senior Research Manager Melissa Chau pointed out that compared to a year ago, the top three vendors remained in the same positions, but ZTE has since slipped from fourth place to out of top five, thus letting Huawei and Apple move up one place. Chau added that Apple’s shipment was also boosted by the full rollout of the iPhone 5s and 5c to its other channels in China since late Q3. While Xiaomi is nowhere to be seen in mainland China’s top five, it’s managed to nab three percent of the Taiwanese market to secure fifth place last quarter. This is no doubt thanks to the recent launch of the Redmi aka Hongmi budget phone there, with help from local carrier Far EasTone. But Chau cautioned that it’s still early days for Xiaomi, for it “just barely edged out LG” in Taiwan, plus it’s a long way behind HTC in fourth place. What’s more worrying is that Acer isn’t even in the top six in its home town, which is just one of the many signs showing how it desperately needed the restructuring. With the full rollout of TD-LTE plus Lenovo bringing Motorola back into mainland China, it’ll be interesting to see how the landscape changes again a year from now. The people have been able to divert their attention from making money in the traditional manner, to the ones in the online process. When you look into the process that goes into making a lasting impression for your company website as well as for the products that you happen to be launching, it is very important for you to actually do so in a wonderful platform. There has been enough talk about people understanding as well as going through the different kinds of trustworthy aspects that are to be found in a company. If all goes well, you will not only be making enough money from this particular web marketing, but you can also end up going through the extra length of making sure that your client will be able to make enough to fund another web marketing campaign. This is the main reason as to why research is very much essential for you actually formulate or go for a particular company that can handle your web marketing campaign. If you go about taking the decision of people over the Internet, then it is going to be a very bad situation for you. In your need to look into the best marketing reviews, always make sure that you go to trustworthy websites. This way, you will be able to read genuine reviews, about genuine products that you could possibly purchase from over the market. There are many people that have actually faced enormous problems when it comes to particular products that they have bought, and they put forward their grievances in such kind of websites. In order to ensure that each and everything, particularly the best marketing reviews have actually been provided on a genuine platform, it is always important of you to do the necessary background check. In contrast to the different kinds of marketing techniques that you can actually find over the market, it is essential as well as important of you to understand that web marketing requires a lot of hard work; it is not something that you can do over the computer to ensure that you can make pocket money. You need to constantly change, study and research your competitors, and to make sure that they will be able to provide you with inroads on what kind of strategies happen to be working on a given platform. After you have been able to undertake and understand all such feasibility is, it can actually be a good thing for you to maintain this particular strategy in your mind. People of all that they can live in a comfortable manner. Whatever the situation is and the qualifications that can be feasible to you, it is very much important for you to understand that making enough money through web marketing can be a very good exercise. Over a constant scale of time, it is important that you get to know more about company that can actually prove to be very much important to you. Probably, you will be able to make enough money from the investment that you have done, and you can actually go about making use of the company for all your future campaigns. 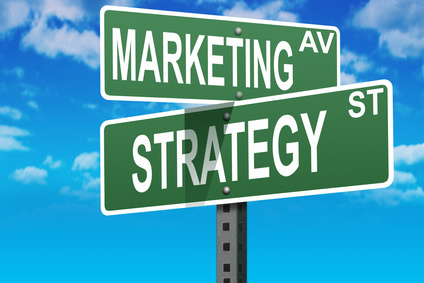 All of these are important, it is very much essential, and always proves to be the binding factor for you to decide and clinch a particular marketing deal. With all things said and done, it is very much important for you to look into such kind of marketing reviews that are not only the best in the market, but also proves to give you a lot of information.